Note: A minimum quantity of 43 must be ordered, and in units of 1 thereafter. 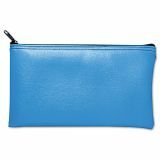 MMF Industries Leatherette Zippered Wallet, Leather-Like Vinyl, 11w x 6h, Marine Blue - Wallet bag with zipper holds bank transactions, petty cash, checks, paperwork, office supplies, keys, employee or student belongings and more. Heavy-duty zipper secures contents. 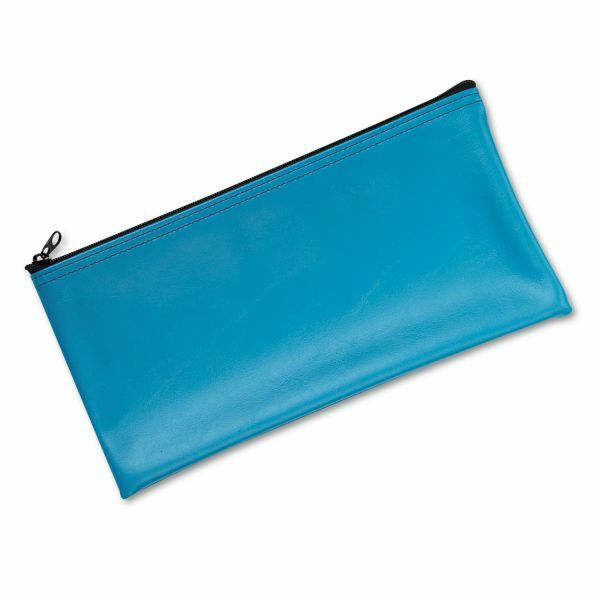 With the look of real leather, multipurpose wallet bag is made of 16 mil leatherette vinyl that offers a leatherlike grain, double-stitched seams and a zipper closure. Perfect as a promotional giveaway for transporting checks, confidential documents and other valuable paperwork.